To start or not to start. That is the question that haunts millions of Americans on a weekly basis. While bona fide superstars such as Aaron Rodgers and Todd Gurley have permanent personal parking spaces in your starting lineup, other players are not so cut and dry. The majority of your roster consists of average to good players whose weekly outlook can change based on plethora of different variables. I focus on the guys who are, or have been startable, but not necessarily slam dunks. 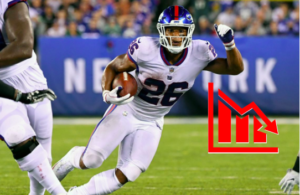 By identifying which players have particularly favorable or difficult matchups from week to week, I can help you navigate the ever-changing fantasy landscape. I also take into account how a player is used, the quantity and quality of opportunities that player gets, and how that might apply to future games. Surrounding talent, injuries and even on rare instances, weather, are all considered when making these recommendations. After you read this, check out Wolf’s Week 2 Rankings to help you make further lineup decisions. If it ain’t broke don’t fix it. Rivers threw for 424 yards and three touchdowns in a 38-28 loss last week to Kansas City. Those numbers accumulated the fourth-most fantasy points in week one amongst quarterbacks. This Sunday Rivers faces a Bills defense that allowed Joe Flacco to score the seventh-most fantasy points (QB) last week in just under three quarters of play. 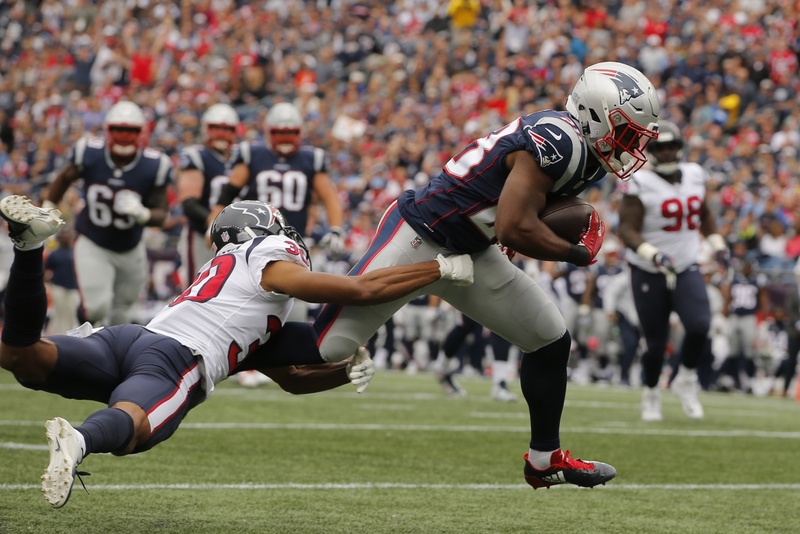 Outscoring Rivers a week ago was first-year starter Patrick Mahomes, who threw four touchdowns on his way to becoming the third-highest scoring quarterback in fantasy. He’ll be on the road again this week to play a Steelers defense that surrendered the sixth-most fantasy points amongst quarterbacks a week ago to Tyrod Taylor. While a lot of that production was on the ground, Mahomes is a good athlete is his own right, and is fully capable of gashing Pittsburgh with his legs and his arm. Let’s keep the Conner train going as long as we can, shall we? Last week Conner was the only Steeler running back to touch the ball, racking up 192 yards from scrimmage and two touchdowns on 36 touches. This week he’s at home to face the Chiefs, who gave up a league-high 5.6 yards per carry (YPC) to the Chargers on Sunday. Expect Conner to be busy in what should be a high scoring affair. No Patriot was targeted more last week than White. He caught four of nine passes for 38 yards and a touchdown, while adding another 18 yards on five carries. The Pats travel to Jacksonville this week to play a lockdown Jaguars defense. When these two teams met in January, Brandin Cooks, Danny Amendola and Dion Lewis led New England in receiving, but all three have since left the team. Clearly outmatched on the outside, anticipate White to be used frequently in the underneath passing game. Last week both Adrian Peterson and Chris Thompson posted top-eight fantasy performances at their position (PPR). This Sunday the duo is at home to take on a rebuilding Colts defense that allowed Joe Mixon to average 5.6 YPC last week. The Cincinnati running backs also caught six of their eight targets for 65 yards. This bodes well for Washington, whose backfield accounted for 133 of Alex Smith’s 255 passing yards a week ago. Primarily deployed from the perimeter in years past, Sanders lined up in the slot for 51% of his snaps in week one. This inspired free agent acquisition, Case Keenum, to target Sanders a team-high eleven times. He caught ten of those passes for 135 yards and a touchdown. Keenum targeted his slot receiver 25% of the time last year with Minnesota, which was tops in the league, according to Pro Football Focus. This week Denver is at home to play an underwhelming Raiders secondary. In their first game together Mitch Trubisky aimed more passes at Robinson than any other Bear. Robinson caught four of those seven targets for 61 yards at Lambeau Field. This week the two are at home to face a Seahawks defense that was just carved up by Keenum and the Broncos. Seattle surrendered the sixth-most fantasy points to wide receivers last week (PPR). The Legion of Boom is no more. The good news last week was that Agholor caught eight of his team-high ten targets. The bad news is he only managed to gain 33 yards against Atlanta’s “bend don’t break” defense. This week Philadelphia faces a Tampa Bay secondary that just lost starting cornerback, Vernon Hargreaves III, for the season. The Buccaneers gave up the third-most fantasy points to wide receivers on Sunday en route to being torched by the Saints’ offense. Last week’s stat line of two catches for eight yards was rough. If you are tempted to bench Mr. Graham this week as the Vikings’ vaunted defense comes to town, let me convince you otherwise. Minnesota held the 49ers’ receivers to just eight catches for 110 yards a week ago. With nowhere else to turn, San Francisco threw to tight end, George Kittle, nine times, connecting on five of those passes for 90 yards. Expect Aaron Rodgers to gravitate towards Graham out of necessity if nothing else. Holy Spider Y Two Banana Cook looked good in his first game under Head Coach John Gruden. His 180 receiving yards tied Michael Thomas for the most in the league. This week Cook faces a Broncos defense that allowed rookie tight end, Will Dissly, to rack up 105 yards and a score. After running 45% of his routes from the slot last week, Amari Cooper is expected to see plenty of All-Pro cornerback, Chris Harris Jr. With Cooper locked down, count on Cook to be heavily targeted once again. Did you see the Bills play last week? Buffalo’s 153 total yards were 60 less than the next worst team. The Bills only managed to muster up three points in a blowout against Baltimore. With rookie quarterback, Josh Allen, making his first career start, the Chargers defense has to be licking their chops. Russell Wilson was sacked six times last week and intercepted twice by the hands of the Broncos. Derek Carr, who threw three interceptions of his own on Monday night, is no Russell Wilson. After scoring just thirteen points against the Rams, expect Oakland’s struggles to continue in Denver. Including playoffs, Ryan hasn’t thrown multiple touchdown passes in a game since week eleven of last season. The last time he threw three or more touchdown passes was the 2016 NFC Championship game. This week he faces a Panthers defense that sacked Dak Prescott six times last week, holding the Cowboys to just eight points. Reports from Tennessee state that Mariota practiced fully Wednesday and is on track to start Sunday against Houston. That doesn’t mean he should start on your fantasy team. Before exiting the game with an elbow injury, Mariota completed just nine of his sixteen passes for 103 yards and two interceptions. 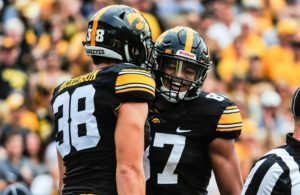 The former second-overall pick hasn’t totaled three or more touchdowns in a game since 2016 and is inching closer and closer to that “bust” label. If you drafted McCoy, I’m sorry. Buffalo may have the worst offensive line in football after losing three starters from a year ago. Josh Allen and Kelvin Benjamin aren’t scaring anyone in the passing game, which allows defenses to crowd the box. This week the Bills take on a Chargers defense that just held Kareem Hunt to 49 yards on sixteen carries. The Bucs put up 48 points last week no thanks to their running game. While Barber’s 19 carries were somewhat encouraging from a usage standpoint, he ran for just 69 yards and didn’t see a single target. This week he’ll face a stout Eagles run defense that surrendered just 74 yards to the Falcons in the season opener. No team allowed fewer rushing yards than Philadelphia last season. For fantasy purposes, Penny is all hype. 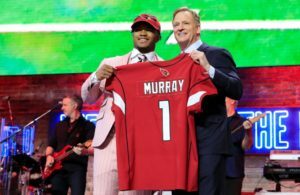 Seattle drastically reached when they selected the San Diego State product 27th-overall, leading some to believe he would be featured within the offense. Both Penny and second-year ‘back, Chris Carson, saw seven carries on Sunday. Penny accumulated eight rushing yards while Carson ran for 51. It’s not too early to question if Penny is worth a spot on your roster. After catching just one pass for eleven yards last week, I wouldn’t trust Hogan this Sunday against the Jaguars. Hogan’s five targets were fourth on the team a week ago. He could see even less opportunities in Jacksonville where an elite secondary and pass-rush gave up the fewest passing yards per game last season. Cooper has gone over 70 yards receiving in just three of his last 24 games. After a brilliant start to his career, what has happened to Cooper is baffling. The former fourth-overall pick caught just one of his three targets last week for nine yards. Don’t expect the 24-year-old to get his groove back against a Denver secondary led by All-Pro corner, Chris Harris Jr.
It’s been just one game, but so far, we can’t classify the $48 millions dollars Kansas City gave to Watkins as money well spent. Last week Watkins caught three of his five targets for 21 yards. He is clearly the fourth option in this offense behind Tyreek Hill, Kareem Hunt and Travis Kelce. Watkins belongs on your bench until he proves otherwise. While Njoku did see seven targets last week against Pittsburgh, he dropped two of them, caught three and gained just thirteen yards. Considered a sleeper within fantasy circles, the second-year player still possesses enormous upside and could potentially bounce back. However, I would recommend reaching for more reliable options until Njoku illustrates he can produce within the offense. I saw far too many people start Clay this past weekend. Those who did received a goose egg in the fantasy points column, and hopefully learned a lesson about starting players based off name recognition. The Bills offense is the worst in the league this year and should be avoided like the plague. Unlike in years past, we can’t simply find which team is playing the Browns and stream their defense from week to week. Cleveland has talent and they will put up points this season. New Orleans just surrendered a whopping 48 points to Ryan Fitzpatrick and Buccaneers, resulting in a negative nine point fantasy performance. The only thing worse than giving up 48 points to a Fitzpatrick-led offense is giving up 48 points to a team starting a rookie quarterback in his first NFL game. While Jets quarterback, Sam Darnold, was impressive, the Lions completely broke down. Already there are rumors that first-year Head Coach, Matt Patricia, has lost the locker room. Detroit heads to San Francisco this week to face Jimmy Garoppolo and the 49ers. Next Story → Patrick Mahomes: 2018 Fantasy MVP?